Welcome to Dewey Griffin Subaru dealership's website. We are the Bellingham Subaru dealer where you'll find all the information you need to make an informed purchase of a new Subaru, or used car at our car dealership. If you're looking for a Subaru in Blaine WA, Everson WA, Ferndale WA, or Lynden, WA, stop by Dewey Griffin Subaru in Bellingham where you'll get a great price and service! Have questions? Give us a call!. At Dewey Griffin Subaru we strive to maintain a complete inventory of new Subaru vehicles. Select from all of the latest Subaru models including the new 2019 Subaru Outback, Legacy, Forester, BRZ, WRX, Impreza, Crosstrek. In addition, we have added the new 2019 Subaru Ascent SUV with 3-row seating to our wide array of inventory. We are the Bellingham area Subaru car dealership that will make the car buying experience as simple as possible. Take a test drive with one of our Subaru experts and see what makes these some of the best selling vehicles in America. If it's a used car, truck or SUV you're looking for, Dewey Griffin Subaru has an expansive selection of used Subaru vehicles available in Bellingham, WA. We also carry used cars from the top car manufacturers as well as certified Subaru vehicles. Our used car inventory is continually changing and all of our cars are carefully inspected and detailed before they are put on the lot. Come view our used car selection at 1800 Iowa Street Bellingham, WA. The financial experts at Dewey Griffin Subaru are available to answer your questions regarding car loans and leases near Blaine WA, Everson WA, Ferndale WA, & Lynden, WA. Have a question about interest rates, loan terms, or programs for individuals with bad credit, or no credit at all? Call us and get the answers you need. At Dewey Griffin Subaru we'll help you get auto financing quickly so you can go about your busy schedule with your new vehicle. For truly helpful assistance in securing a car loan and Subaru lease in Bellingham, visit us today! Looking to get your Subaru vehicle serviced or repaired? Then come visit us at Dewey Griffin Subaru for all of your repair and servicing needs. We have an experienced crew of experts that will be able to diagnose the issue at hand and make the correct adjustments and repairs so that your vehicle is up and running in no time. 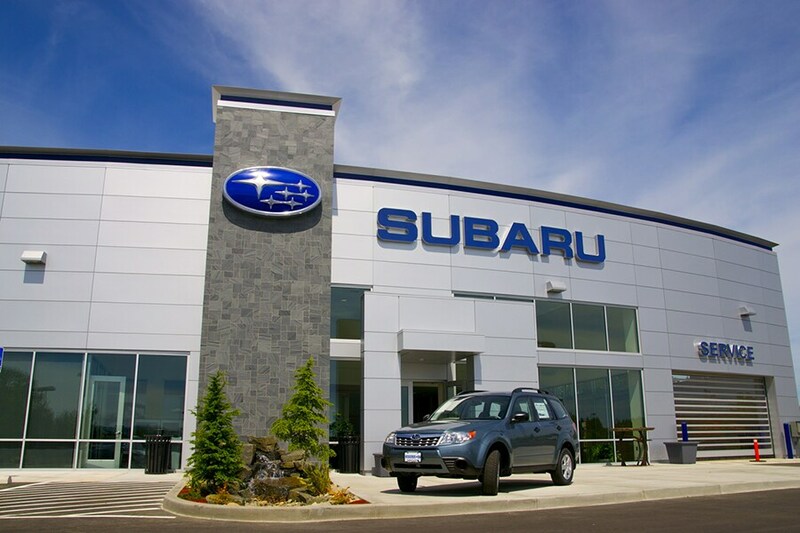 We provide the Bellingham area with Subaru service and car repairs done efficiently and correctly to the highest degree to make sure that your Subaru vehicle will be running to the best of its ability. Need a specific part instead of repair or servicing? We keep a vast selection of OEM Subaru car parts in stock so that we can complete your order in no time. If, for some reason, we don't have the car part you need then we will immediately work on acquiring it as soon as possible. The employees at Dewey Griffin Subaru look forward to your visit from Blaine WA, Everson WA, Ferndale WA, & Lynden, WA. Give us a call at 888-697-3193 or use our step by step directions to visit the Bellingham Subaru dealer with unbelievable deals and superior service, Dewey Griffin Subaru.